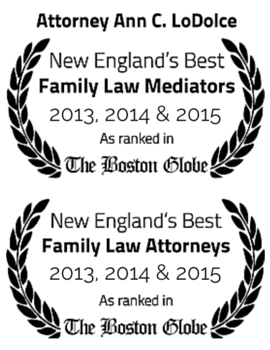 In Massachusetts, a judge is assigned to hear a case such as a divorce or separation, according to when the case is docketed. When a case is filed with the Probate and Family Court, a docket number is assigned to each case as the case is filed at the courthouse. The cases are assigned numbers in sequence. If for example a courthouse has four judges, then each charge is assigned 25 numbers. Each judge is assigned a series of numbers so that a judge will hear all of the cases within sequence with the docket # having the last two numbers that fall between zero and twenty five. In Plymouth County for example, Judge Menno is assigned the numbers that fall between 45 and 69. Therefore a case in Plymouth County with a docket number with the last two digits as 60, will be assigned to Judge Menno and that case will only be heard by Judge Menno. Once a case is assigned a docket number with the last two digits falling between 45 and 69, every time that case is heard by a judge, that judge will be Judge Menno. In order to better serve the public, a judge needs a context within which he or she hears the case, therefore, every case is specifically assigned to one judge. In the past, a case would simply be heard by whichever judge was sitting each day. It was found that there was no continuity for the litigants by using such a system and such a system also fostered judge shopping. That is, if a litigant didn’t like what he or she was hearing from one judge, then the litigant would select a day that another day that another judge would be sitting. The new system of assigning every case to a specific judge addresses this problem. Our present system requires the litigants and their attorneys to determine what day the assigned judge will hear a matter such as a motion, before selecting a court date. Some counties have each judge sit on a certain day of the week and hear certain cases on that day, for example Judge Menno hears motions on Tuesdays. It is incumbent upon whoever has a Judge Menno docket number, to select a Tuesday. The problem is further complicated when a County has two courthouses, such as in Plymouth County where there is one courthouse in Brockton, and another courthouse in Plymouth, because the judges then rotate between the two courthouses. For example, Judge Menno sits mostly in Brockton, and one week a month he sits in Plymouth. Even with all these complications, the system is better than that which was done in the past principally because the system that is in place, resolves the problem of judge shopping. The litigants have no choice of judges and once a judge is assigned to a case then that judge always hears the case. What does a visitation schedule look like?How are household goods divided in a divorce?